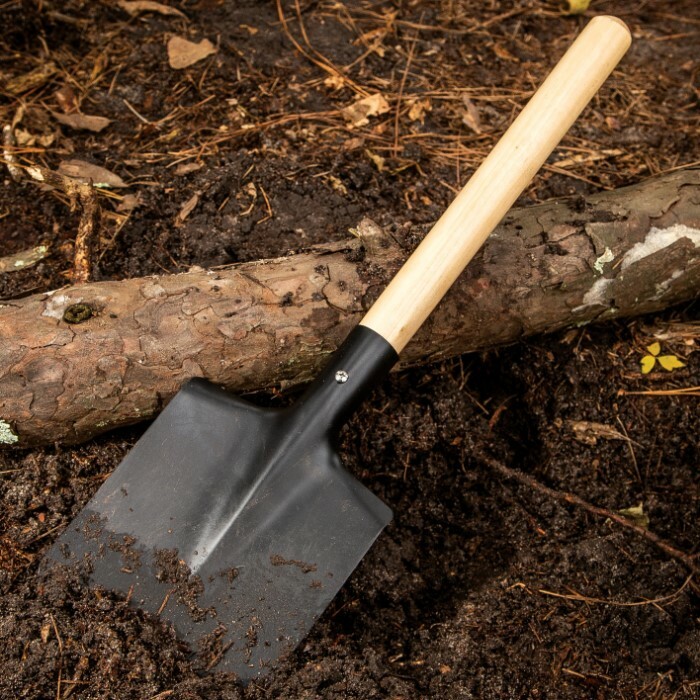 Delta Defender High Strength Carbon Steel Shovel, Rounded Wooden Handle, Compact - Length 21 1/2” | BUDK.com - Knives & Swords At The Lowest Prices! Our Delta Defender High Strength Carbon Steel Shovel is built to get the job done no matter how tough but is still compact enough to store conveniently in your gear. 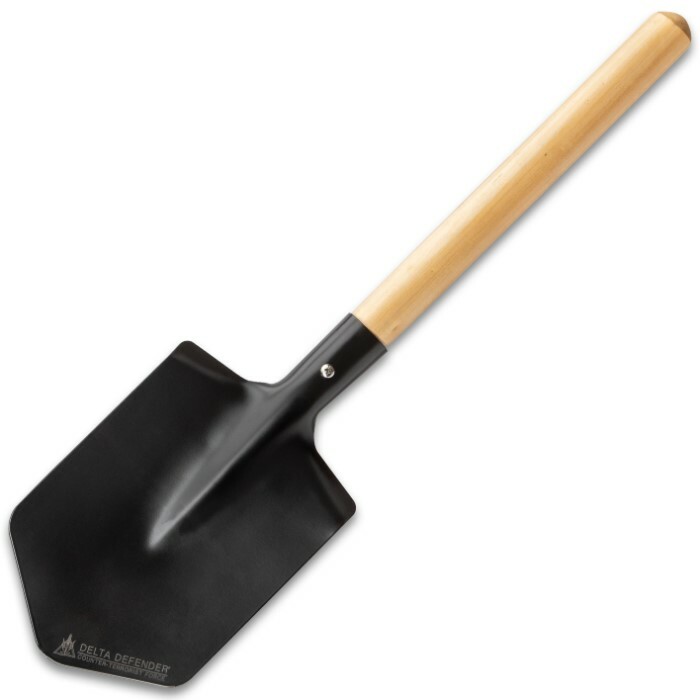 It’s like having a full-size shovel to do the work without the bulkiness! 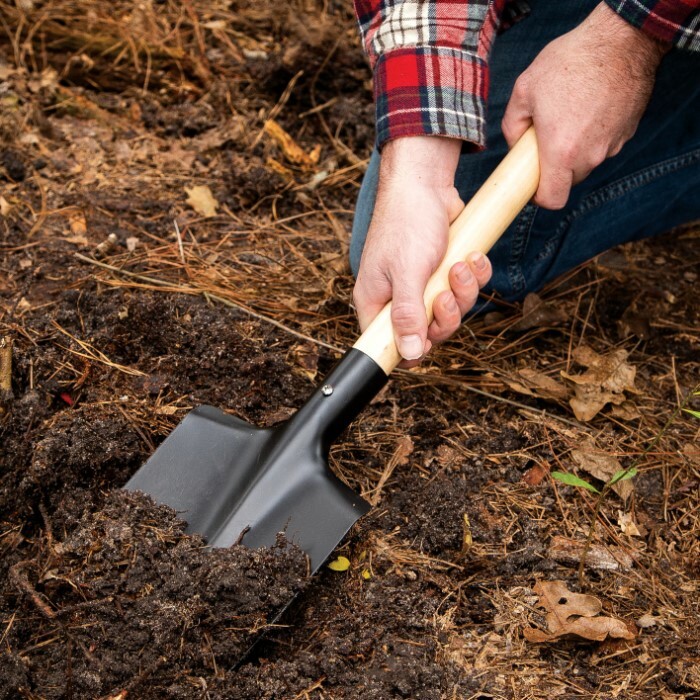 It has an 8”, high-strength carbon steel shovel head that will stand up to any heavy digging that you need to do. 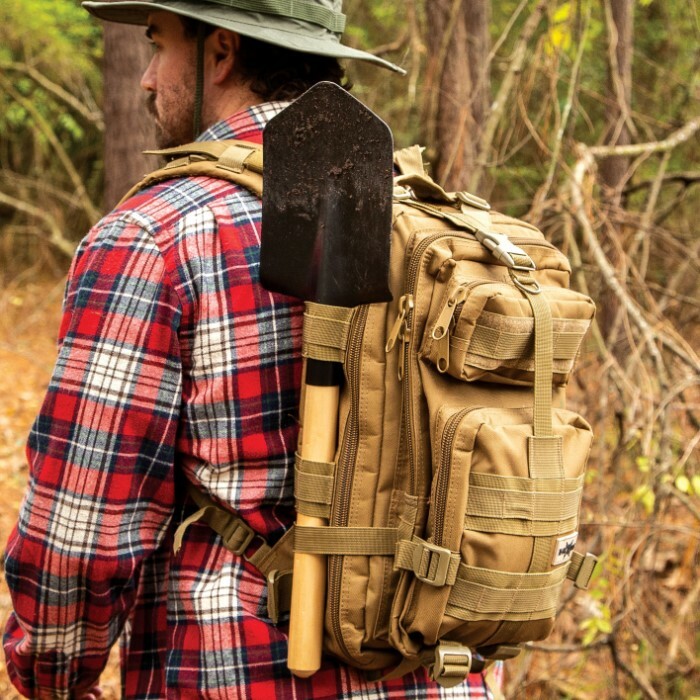 The tough and durable handle is made of solid wood and is a rounded design that fits comfortably in your hand. 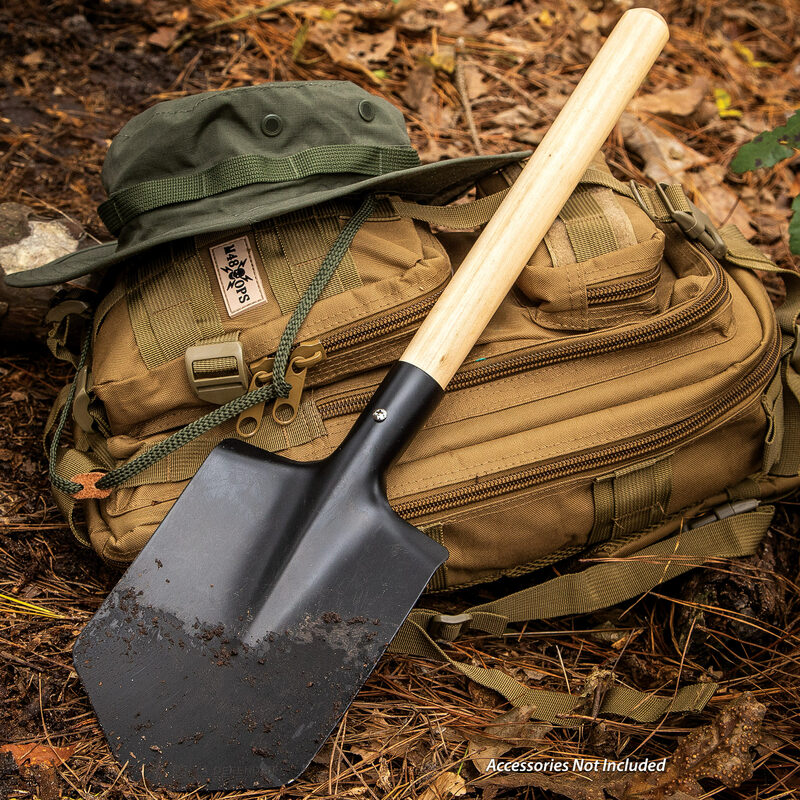 The shovel’s overall length is 21 1/2”, which is a great compact size that will fit in your gear, vehicle or storage shed.